Autumn is my favourite time of the year – if I haven’t made that obvious enough already! As much as I love my bright pinks and corals during the summer, I love bringing out the more Autumnal berries, reds and purples as the cooler weather approaches. I know a lot of people love to rock the dark vampy lipsticks this time of year, but they just really don’t suit me – I seriously envy those people that look incredible in them because I can’t seem to pull dark colours off… no matter how many I try! Today I thought I’d share my top 5 Autumn lipsticks with you all to show you the colours I’ll practically be living in over the next few months. Now would it really be a post from me without mentioning a MAC lipstick? Exactly. Twig is a beautiful easy to wear muted brownish pink with a satin finish (matte with a slight bit of sheen). It’s very long lasting without being drying on the lips, and I love to pair this lipstick with Morning Coffee lip liner also from MAC. This lipstick was my most worn shade last Autumn, and I wore it more than I really should have. My review of this lipstick is actually one of my most read blog posts, so it’s obviously a fairly popular shade. Rose Perfecto was released last year in the YSL Fall collection. It’s a lovely dark rose colour that basically screams Autumn. It has a matte finish without being drying or feeling uncomfortable. YSL lipsticks are my favourites and this is a staple in my collection. 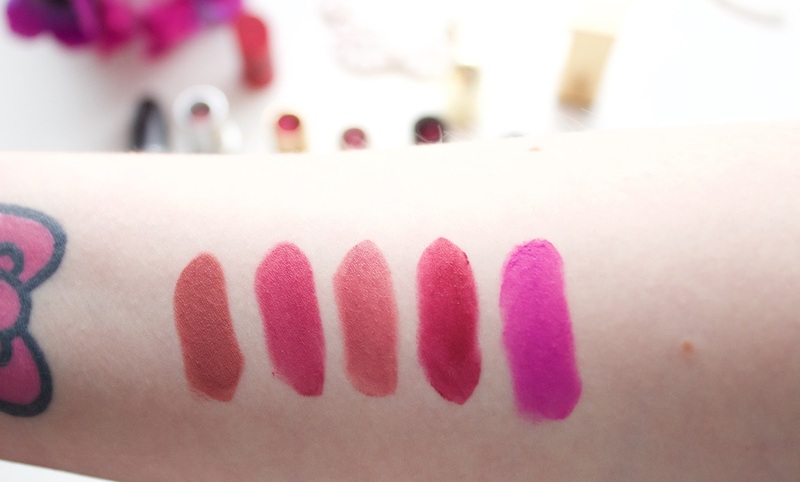 Rodeo Drive is the most wearable of all these shades, and it’s a colour I just find so easy to wear. This shade is a medium rosy pink that goes with so many different makeup looks. It’s long lasting, pigmented and creamy so it’s the perfect everyday shade. I find this pairs well with the Essence Satin Mauve lip liner. This lipstick has only recently come into my life, but I’ve already fallen in love. 107 is a deep berry red that’s very hyped about in the beauty community. I’m not usually one for reds, but the berry tones make it much more of a ‘me’ colour. It’s incredibly pigmented and leaves a stain on the lips when it fades so you don’t have to worry too much about it fading unevenly and looking patchy. It has a matte finish that still has a bit of shine and isn’t drying on the lips, which is something you really don’t want in the cooler weather aka dry lip season. Whilst this colour isn’t exactly the most Autumnal shade, it’s one I reach for a lot during the Autumn/Winter months. I’m a big lover of bright lipsticks, so this matte purple/pink adds that “I’m trying to look all Autumnal by wearing a purple lipstick but it’s not dark and vampy because I just really freaking love bright lipsticks” look. I like to pair this with Magenta Lip Liner from MAC. Hope you enjoyed this post! 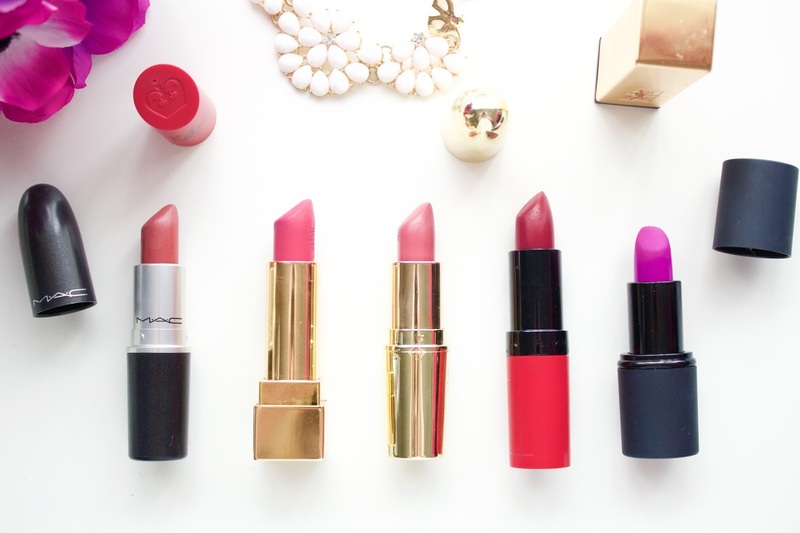 What’s your favourite Autumn lipstick?